Product: IObit Advance System Care. Type of Product: Software for maintaining your System. Price: Free download, then $29.99 per year for 3 PCs for full protection. Is your system starting to show its age, slowing down with a few hiccups happening more frequently? Then you might be interested in purchasing a tune-up utility like Advance System Care to bring back the performance of your PC or Laptop. This is a lot cheaper than going out and buying a new unit even though It may not rank at the top of tune-ups but for the price, it’s a great deal. Let’s take a closer look at it, shall we? Starting with the Good and Bad. Increases the performance of your computer with the click of a mouse. Handy performance monitor in the upper right corner of your screen. Too many upsell’s for separate add-on features. The Advance System Care Ultimate 11 comes with an Antivirus Program with some added features like the Real-time protection, Anti-ransomware, DNS protection, and more. Personally, I would use one of the more popular Antivirus security software which you can check out Here. My personal choice is Norton Security which you can check out here. The Clean & Optimize tab provides 12 modules to clean and optimize your PC for top performance in a comprehensive way. The photo below shows you a look at all 12 modules that you can eighter select all or just a specific one to clean and optimize for better performance of your PC. After you have run the initial clean and optimize scan your next step is to open the Speed Up tab where you have four options to help increase the performance of your computer. Turbo Boost: This will stop any unnecessary apps/services to release Ram which will help boost your PC. Hardware Accelerate: This will open Drive Booster (if you have it installed) if not then you are taken to their site where you can download the free version. The program will scan your entire system and find outdated drivers and then install them for you. Deep Optimization: This will optimize a variety of things to help boost your performance. Apps & Toolbar Cleaner: This will launch the popular IObit Uninstaller where you can clean up your browser’s toolbar along with any unused plug-ins. System Optimize: Has a variety of extra things to help with overall performance. Startup Manager, Smart Ram, Internet Booster, an auto shutdown where you can schedule a shutdown of your computer, and a Program Deactivator. Security & Repair: Here you can pick a number of things like Windows fixes, Disk Doctor, and even Undelete any file or program that you deleted. System Clean: This one is my favorite because you can do a more thorough cleaning of your register, which helps in performance. And you can find and delete empty folders that get left behind when you move or delete a folder along with a few others. As you can see there are a lot of handy tools to use in the Toolbox tab to further increase the performance of your computer. Though It would be nice if these were done in the initial clean & optimize scan instead of having to perform more scans on your computer. This should be named Upsells center because it will list other actions to take by downloading additional software. These include there new “Smart Defrag for cleaning up and optimizing your hard drive. (Its supposed to be better and faster than Windows own disk optimizer utility). You can also get their un-installer, diver updater, password manager (Dashlane), and an iPhone manager to transfer and manage the contents of your iPhone on your computer. Now some of these have a free version or they give you a considerable discount if you have purchased a license to Advance System Care. it’s a desktop widget that resides in the upper left corner of your screen and shows your current Ram and CPU usage. You can expand it to show the detail of usage for your Ram, CPU, and Disk and even end any task to free up resources. It also has a metrics monitor that shows the temperature of your devices along with cleaning up Ram usage with a click of your mouse. Now the overall performance does not quite match up to Iolo System Mechanic for $29.95 or AVGtune-up Unlimited for $37.49. And these two will cover all of your devices whereas the Advanced SystemCare only covers three devices. But like I stated above it works great for the price. I have run this on my PCs, but have since uninstalled the program due to the fact that Malwarebytes considers it as a PUP (potentially unwanted program) and will guarantee the program. And seeing that I really like Malwarebytes I have turned my attention to using System Mechanics for my tune-up utility. Rating 3.5 star out of 5. I hope you have found this review to be helpful and would love to hear your thoughts on this product! If you want, you can leave your comments or questions in the comment section below. Hi Kim, a thorough and honest review. Are you able to disable the antivirus program, so it won’t conflict if you choose to use a different one? With the price so low, I can see why they would include a lot of upselling in the product. I did not find any way to disable the antivirus program but did not find any conflict with my primary antivirus (Norton Security). Purchasing a license does give you a discount for the added software, does make it a little easier to swallow the whole thing of upsells. Having a care program on your computer will help performance. 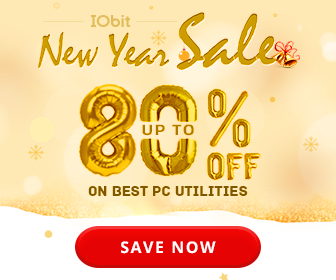 The upsells and higher price will take the IObit Advance system care off of my list. Thanks for your detailed review to help the job of deciding what system to use easier. Hey John, totally agree with you, their upsells is a little just too much when you can get better products (which I will be reviewing) for close to the same price.